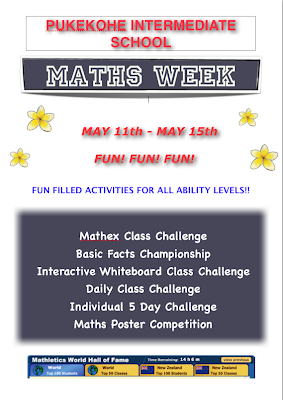 Lupe and I created a maths poster for the maths week competition at Pukekohe Intermediate School. The competition will be held on the May 11th to May 15th. It will be held on lunch time.